What is this 'Cloud Thing' that everyone is talking about? 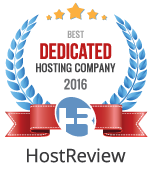 What makes The GlowHost Cloud the best choice for hosting today? Lets face it. Traditional hosting is dead. GlowHost’s Hybrid Cloud is the future of hosting. Our Cloud Virtual Dedicated Servers take traditional hosting to the next level. Our new hybrid technology converts a typical hosting account into a HA (High Availability), cloud-based server cluster. All data is stored on multiple fault tolerant redundant storage (SAN) enclosures set up in an internal RAID and network RAID configuration which can sustain multiple simultaneous hard drive failures or even an entire SAN enclosure failure. Is hosting on the cloud better than a dedicated sever? Yes! A typical shared account, VPS or dedicated server generally runs on a single machine and cannot compare to the killer architecture we have deployed on the GlowHost Cloud. The computing power comes from an array of enterprise grade servers that have a minimum of 32 gigs of RAM per each physical device. The application servers are completely hot swap and hot failover enabled. If we loose an application server, the rest of the cloud continues powering your web site while we replace the faulty hardware, in the background, completely unnoticed. Our datacenter is the only public data center in the United States with redundant electrical feeds that are connected to geographically diverse substations. In addition, there is complete physical separation of the fuel generators and UPS systems on opposite sides of the building for the highest level of redundancy. If one of the electrical substations that feeds our facility goes offline due to blackout, our second electrical source is always online and active and will take over the load. Both grids power the entire cloud at all times with complete geo-separation of substations, entrances, UPSs, generators and fuel, as well as first priority “life-critical” designation for priority electrical service restoration due to the Datacenter’s large number of healthcare clientele and physical proximity to healthcare services. What is a Cloud Server from GlowHost, and why is it better than VPS? A VDS or Virtual Dedicated Server from GlowHost is a an array of many hardware devices that, with special software, can offer equivalent or higher performance to a standard VPS or even dedicated server. In fact, with our virtualization technology you could combine all resources in the cloud to make one monster server. Imagine a machine with several hundred gigs of RAM, thousands of terabytes of storage, and a hundred or so CPUs, all with multiple cores. This is what virtualization can do. We take this monster machine and split it into smaller pieces called Virtual Machines. What makes GlowHost cloud servers and VDS so special in comparison to a VPS, VDS or semi-dedicated server from other providers, is that it is fully redundant at every level. Our VDS can sustain multiple hard drive failures, multiple server failures, network failures and something that almost no one else can offer, electrical failures. Our cloud is powered by 2 different electric grids that service the facility, so if one grid goes down due to lightning, or just from Uncle Joe digging holes in the yard where he isn’t supposed to be, we have you covered. If both grids are down due to some catastrophic event, we have dual diesel fuel generators on site with enough fuel to power them until the grid comes back online. Similar to VPS, each Virtual Machine runs completely independent of the other, with the added benefit of its own private VLAN. There is a firewall on the network that prevents packets from being discovered that belong to other virtual machines. To the end user, or server administrator, the virtual machine appears and acts just like a traditional VPS or dedicated server, but with the HA (High Availability) features and infrastructure that other hosts only dream of being able to offer or are still scrambling to invent. Can I resell space in my cloud? Can I oversell on my cloud? I am new to Cloud Hosting, will you help me? Do you include proactive support and monitoring for my cloud? What packages do you offer on the GlowHost Cloud? Can I completely customize my cloud server? What does 'Elastic' mean when you talk about GlowHost Cloud Servers? Is it difficult to upgrade or downgrade my cloud server? What about downtime? Tell me about redundancy and hardware on the GlowHost Cloud? All servers in our cloud run at least dual, quad-core Intel Xeon processors and boast a minimum 32 gigs of RAM (up to 128 Gigs) per server. Does your current provider or any other provider you know of offer anything close to that? Probably not! Your new cloud server will be better than a typical dedicated server in every way. You will enjoy hot failover services built right in. If one of our enterprise class servers fails, no problem! Other servers will share the load of the missing server until the problematic server can be replaced, and your site will remain online during the entire process. Our network is fully redundant as well, with bandwidth serviced from no less than 5 providers at any given time. Custom Cloud Server Options Available. We build and support many cloud server configurations including load balanced cloud configurations for demanding user-bases, clouds for CPU intensive applications, and we offer access to our cloud-based global Content Delivery Network (CDN) with over 50 points of presence worldwide.